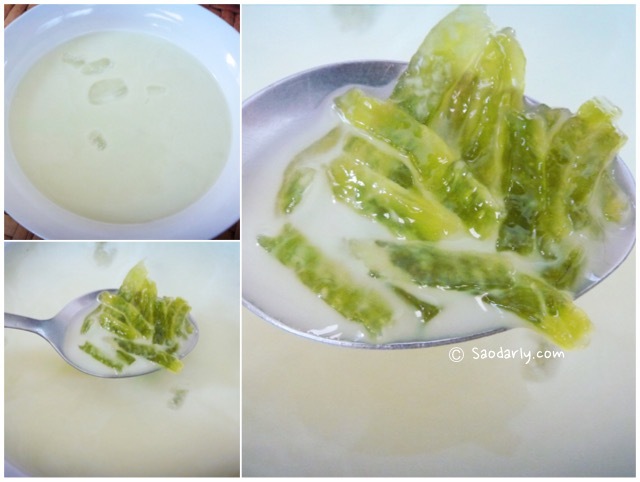 Pandan Rice Jelly in coconut milk and palm sugar syrup (Nam Varn Khao Lod Chong ນ້ຳຫວານເຂົ້າລອດຈອງ, ນ້ຳຫວານເຂົ້າລອດຊ່ອງ). The first time I ate this dessert in a new look was in 2008. 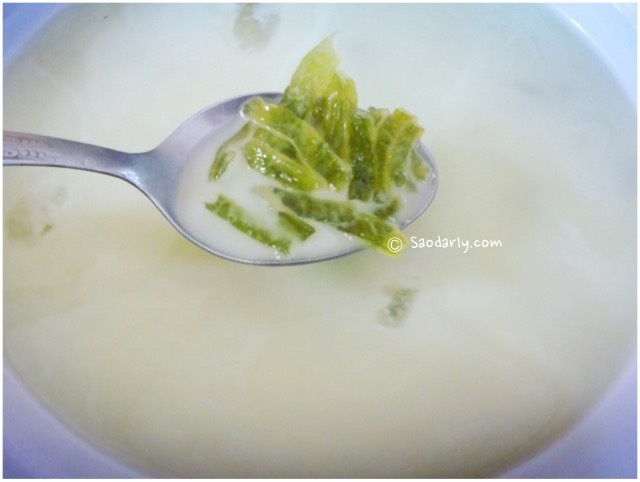 My two aunts in Vientiane introduced this dessert to me and said it is Nam Varn Lod Chong New Style. 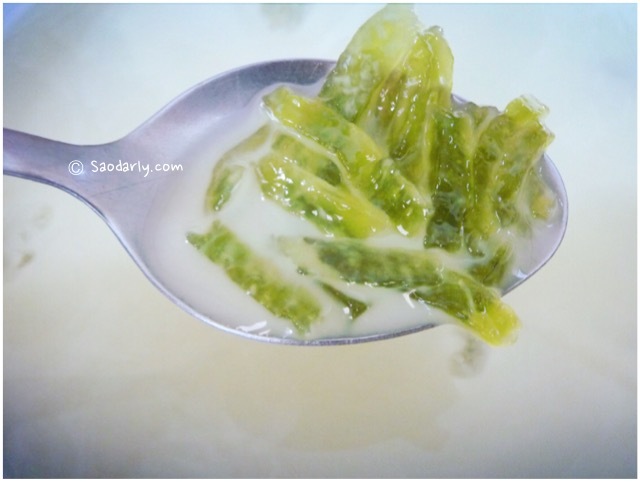 It is made in an easier way by cutting the Pandan dough into strips then cook in water. 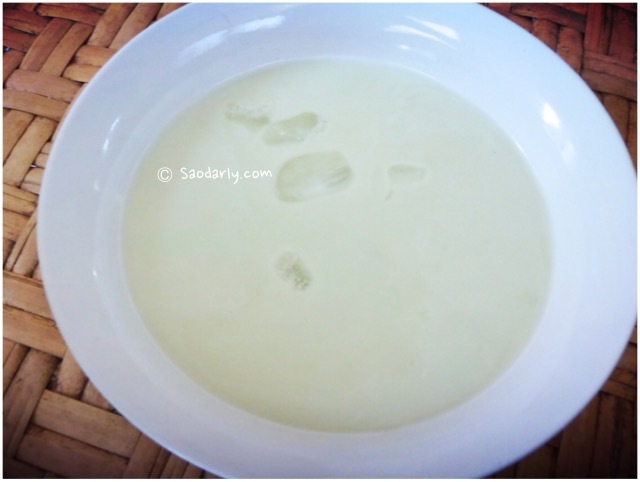 The traditional way is to press the cooked dough mixture through holes (hence the name Lod Chong). My two aunts told me if I would like to learn how to make Nam Varn Lod Chong, then the New Style would be the easiest way to teach me. I never did get a chance to learn how to make this. It will have to be the next time I am in Laos?